Feel at home in Paris in this family-owned townhouse surrounded by some of the city’s best sights. 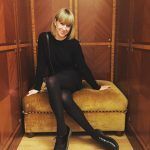 Corrina Allen-Kiersons is a Toronto-based travel, film and pop culture writer who has covered destinations ranging from Texas to Turkey. She’d happily live in a hotel full-time… if it wasn’t for her 90lb dog. Is there any other city in the world more romanticized than Paris? Visitors touch down in France, imaginations already brimming with an idealized vision of the place. They’re in search of sophistication, elegance and a certain… how do you say it? Ah, oui: je ne sais quoi. Relais Christine, a family-owned luxury hotel on Paris’ Left Bank, offers 48 rooms and suites that exceed every traveler’s Parisien dream. 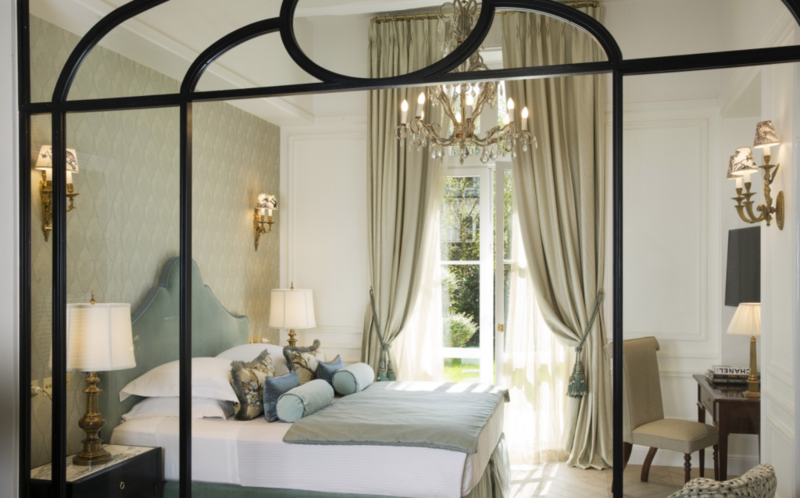 A stay in the former 17th-century townhouse with roots that date back even further (you’ll find remnants of Saint Denis College of the Grands-Augustins Abbey in the hotel’s Guerlain spa) will have you feeling at home in your own exquisitely decorated pied-a-terre—one where you never have to make your own bed. A 25-minute taxi ride (27 km or 17 miles) will take you from Charles De Gaulle airport to the Relais Christine’s charming courtyard (lined with snow-dusted Christmas trees during our December visit). 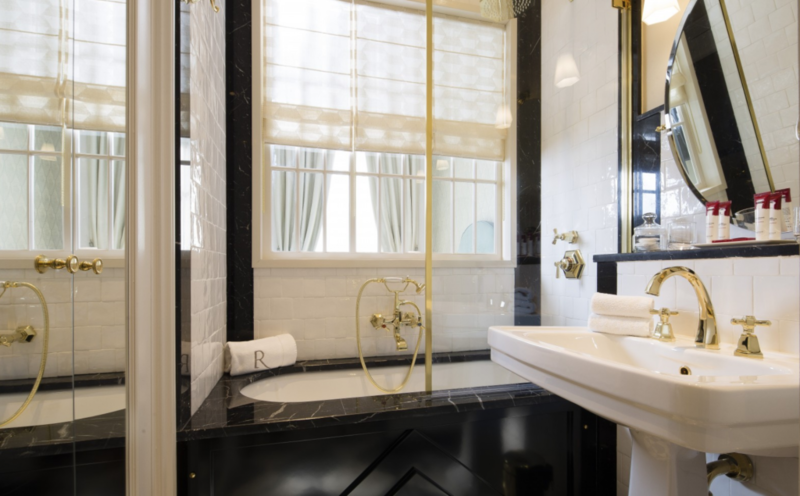 Within walking distance from landmarks like Luxembourg Garden, the Musée D’Orsay, Notre Dame cathedral, and the city’s Latin Quarter, the Relais is on a quiet, narrow, low-key street, surrounded by some of the city’s chicest destinations. Guests who want to enjoy the best the city has to offer while knowing that at the end of the day, there’s a serene oasis in the heart of the city to welcome them home. The spacious rooms ensure that couples never feel like they’re tripping over each other while singles can really spread out and luxuriate. Interior designer Laura Gonzalez spent two years reimagining the look of the hotel and her efforts are impossible to ignore. From the textured wallpapers and velvet headboards, to the lush fabrics and marble bathrooms, each room has been given its own unique character while uniformly stocked with treats like complimentary chocolate biscuits from legendary French chocolatier Angelina and simple to use (even for the jetlagged) Nespresso machines. Free WiFi and Marshall Bluetooth speakers allow you to play music from your own devices and discreetly placed electrical outlets are everywhere (bless anyhotel that makes this a priority). Because each room is different, they all have their own special charms. Upper-floor suites have skylights with remote-controlled blinds while the larger ground-floor suites have walkout terraces with their own private gardens (a true rarity in this crowded arrondissement). Even the hotel’s smallest rooms have the feel of a luxuriously appointed Paris apartment. The deep soaker tubs are a treat for the tourist who has spent the day wandering the Left Bank on foot, especially in combination with the sophisticated and subtly scented Histoire bath and body products stocked by the hotel. The Relais Christine is surrounded by restaurants—from the quaint and traditional to the chic and upscale—so options for dining border on the unlimited. (The legendary Café de Flore and Les Deux Magots are both just a stroll away, perfect for a glass of wine and some people-watching.) Wisely, the Relais does not focus its efforts in competing with the local food scene, instead offering up excellent concierge recommendations tailored to each guest’s craving. However, a generous breakfast buffet is served each morning and snacks are on offer throughout the day. Cocktail hour is held each evening and an honesty bar (with champagne!) is always open. At this jewel box of a hotel comfort and design compete for your affections. Behind each door—from the smallest Cozy Room (204 sq. ft.) to the grandest Garden Suite (430 sq. ft.)— lies elegant and inspiring design as well as calm and serenity, an impressive feat in the heart of such a vibrant and bustling city. Fabrics by Hermes and marble from Carrara work together to infuse each suite with a warmth too frequently missing from hotel rooms. This is a hotel that is genuinely hard to leave, but when you do finally decide to step out for the day, complimentary bicycles are at your disposal. Regular guests play favorites with the rooms they book, often making reservations a year in advance in order to have their requests met so it’s only logical to assume that the décor, from room to room, may not appeal to every visitor. If Scandinavian austerity is your thing, the Relais might not be the best choice for you. 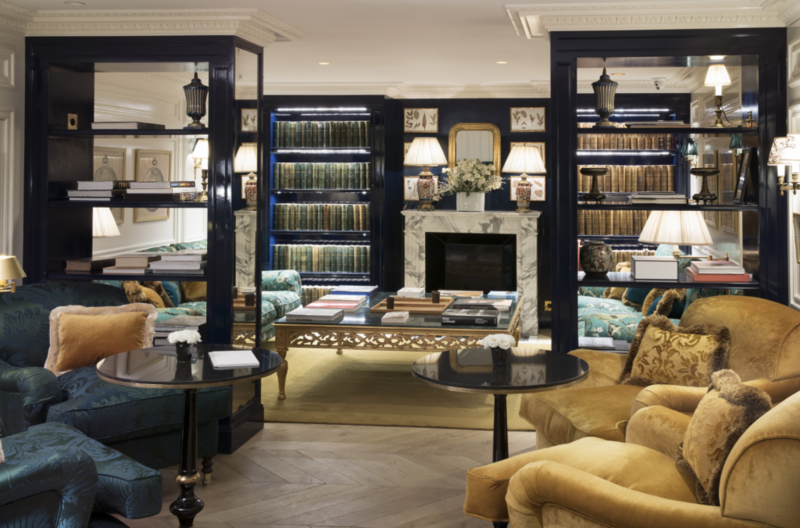 If you want to have a peek at another Paris hotel, take a look at the five-star Hotel de Berri. We found rooms in March 2019 starting at €360 (US$409). Corrina stayed as a guest of the hotel. The hotel did not have editorial approval.